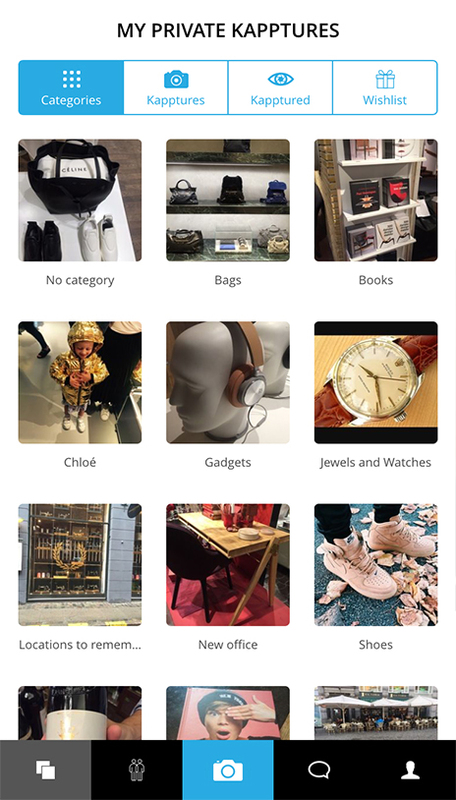 With KAPPTURE you remember products, places or things in pictures and you store it in KAPPTURE categories so that you always have a visible overview – an overview that has been missing until now. You share it with your friends, family or colleagues in a chat, or you simply inspire others or get inspired by others in the public feed if you choose to. 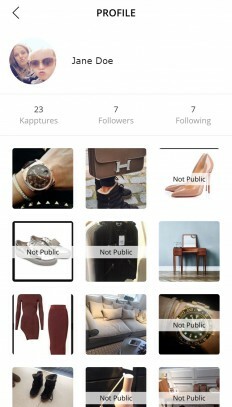 KAPPTURE is both private and public – it’s up to you. Categorize it Create your own category for your KAPPTURE or use one of the predefined. Your KAPPTURES will always be private. Location tag it Put on a location tag, so that you always can remember where you have seen it. If you choose to inspire others with your KAPPTURE in the public feed, they will also be able to find the location of your KAPPTURE. Share it Your KAPPTURE is always private, we care about your privacy. However, if you choose to, you can share your KAPPTURE in two ways. 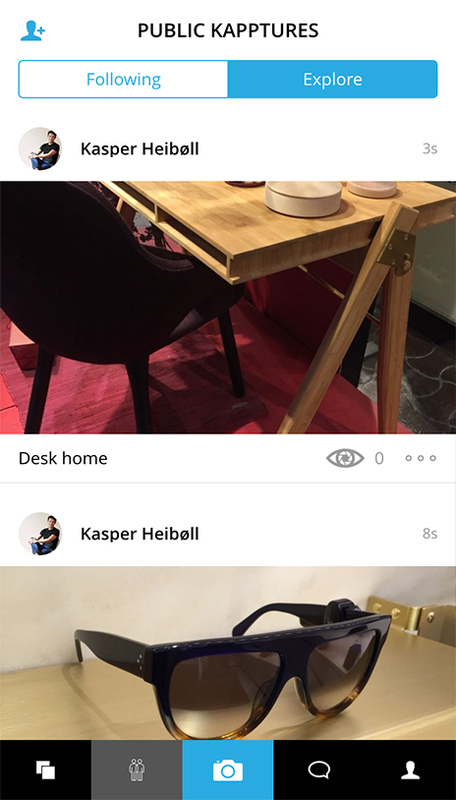 Either in the public feed – everyone who is following you will see your KAPPTURE or you can share your KAPPTURE in a private chat with one or more friends and family members. Overview it With KAPPTURE you will always have a simple overview of the things you wants to remember in pictures. Enjoy it. Your KAPPTURES will always be private, because it will be your little remembering book on your mobile and in pictures, sorted in categories which gives you an everyday overview. 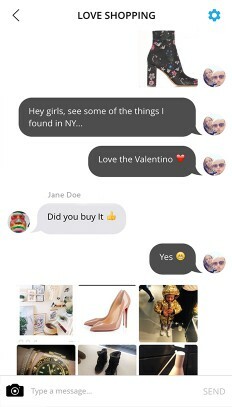 If you want to inspire others with the things you love, it could be a bag, stilettoes, make up or a restaurant that others must try – you can upload in your public feed and people will be able to locate it. Whenever you take a KAPPTURE, you will also be able to add it to your wish list. So your KAPPTURES will appear both in the category you choose and in the wish list (wish lists will only appear in categories if you add things to this feature). You can send your wish list to your friends and families to birthdays and Christmas or whenever you want to inform your nearbys with specific wishes. When they tap on the KAPPTURES, they can see where to buy it if you have added the retailer tag. Have you ever tried to come across something that you want to remember but forgot it when you really needed it? Or maybe you forgot where you saw a beautiful bag, some new makeup, a pair of cool sneaks…? We have all tried that lots of times. We might took a picture with our mobile phone – and then it was added to our camera roll with 2500 other pictures without any tag or overview. We wanted to do something about that issue and make life more easy. So we created KAPPTURE. 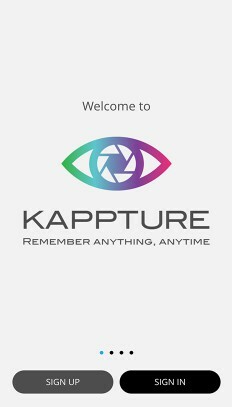 KAPPTURE simply makes your life easier. 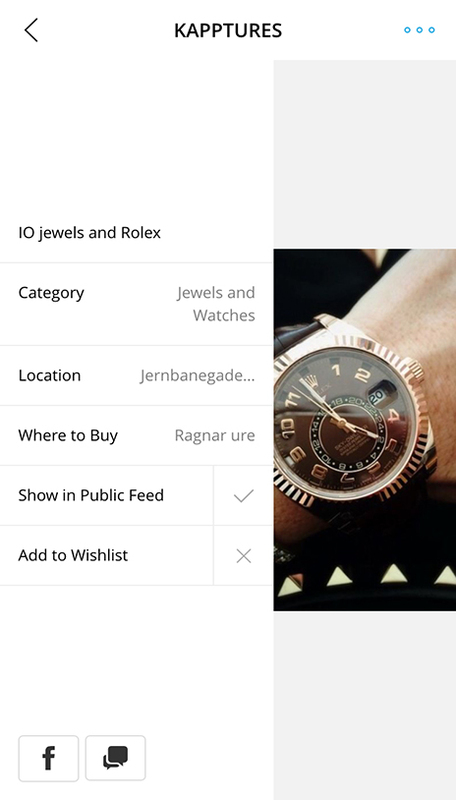 Now you can remember all things and places in pictures in KAPPTURE with an overview and categories that you create yourself. You can remember things you see, that inspires you or things you just fancy. You can make notes about things and places you have been or want to visit in the future. Your pictures will always be kept privately but you can choose to share it in private chats with friends and families or just inspire others by uploading it in you public feed. 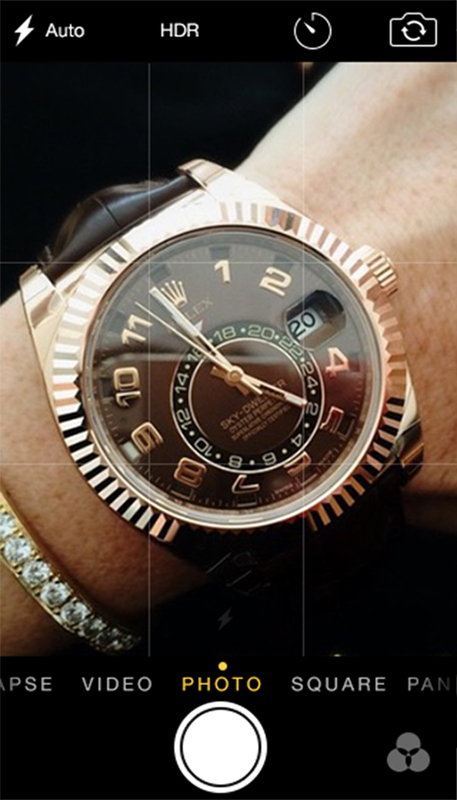 We are a group of people with big love and passion to clothes, shoes, bags, interior, cars, watches, fashion and travelling. We are everything from tech nerds, marketing nerds to mobile nerds and we love entrepreneurship and a creative mind . We hope that you will love KAPPTURE and everyday we are working to make it even better and to give you exciting updates along the way. If you are missing anything or have an idea of improving the site please let us know at contact@kappture.com.